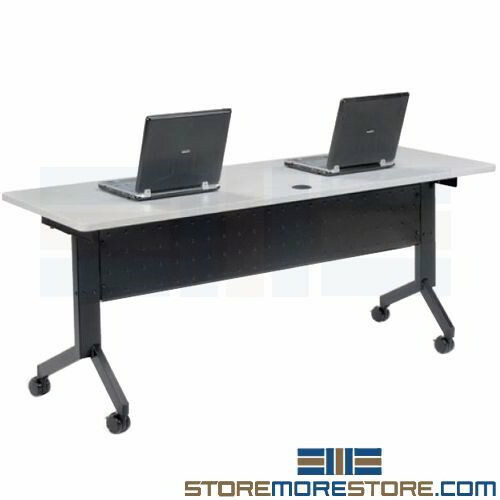 Mobile compact flip top desks are an easy way to create flexible and collaborative work spaces. 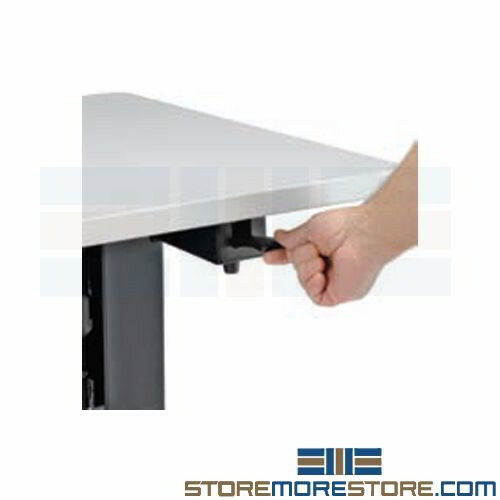 These tables have folding tops that allow you to nest them together in a small footprint when not in use, and unfold and connect the tables together when you need them. 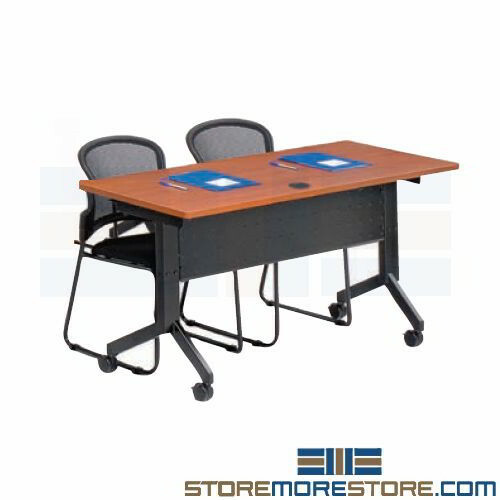 Ideal for use in training rooms, computer labs, conferences and meetings, classrooms, and more.